Hello all, last year I definitely learnt the importance of a good skincare routine. I used to just wipe my makeup off with wipes then splash my face with water, boom that was me done. Ugh, so naive. 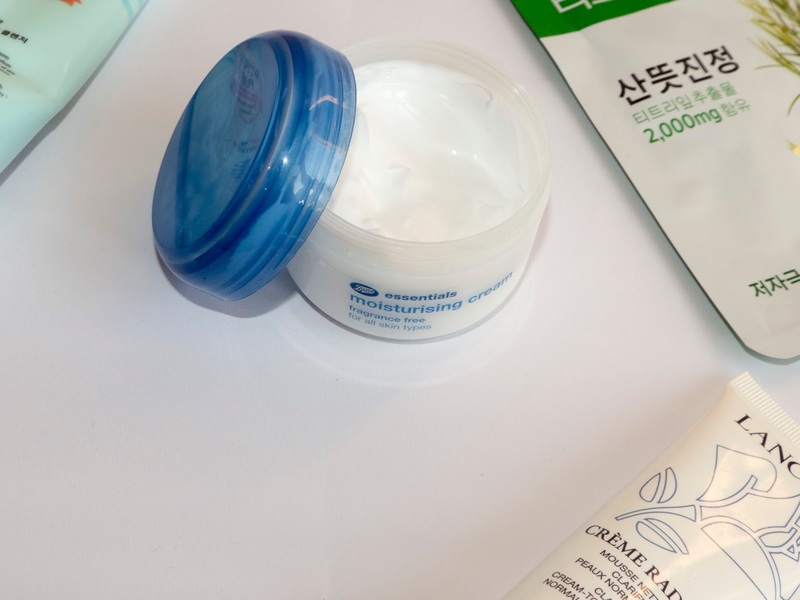 Having a proper skincare routine is so important, it gets rid of any crap that may be clinging to your face, preventing spots and keeping skin looking healthy. So today I'm going to share with you my current nighttime skincare routine. I tend to do this routine and hour or so before I head off to bed, if I do it right before it tends to wake me up. Note: having cleans hands before you start washing your face is really important. I remove my makeup with two steps and the first is with makeup remover wipes. I usually opt for Boots' Essential wipes as they work just as well as any higher priced ones I have used. Sorry for the lack of photo I've been lazy and not restocked on these yet, tut tut Ella. I then go on to step two of removing my makeup, this time with a cleanser. I have recently been using Etude House's Wonder Pore Foam Cleanser but the lovely Kim from The Thirty Something Life gifted me Lancome's Cream to Foam Cleanser and I'm in love. 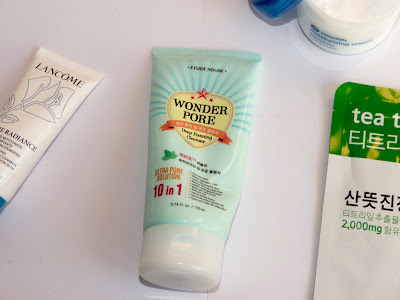 So that has taken over currently, sorry Wonder Pore. I splash my face with warm water to open my pores and apply my cleanser in circular motions then I wash it away. I only do this step twice a week as exfoliating your skin too often can be damaging. I put a tiny bit of cleanser on my Boots Essentials Exfoliating Sponge then I use the sponge in small circular motions. It removes any dead skin calls and leaves my face looking much healthier. I'm sorry there is no photo of the sponge it decided to collapse on me last night (typical). After I have cleansed and exfoliated my skin I use to cotton pad to apply a toner to my face and neck. 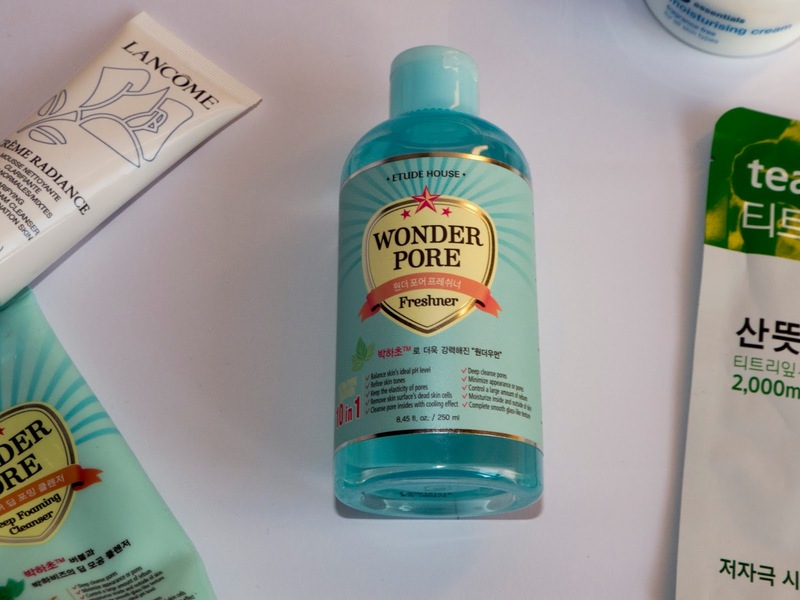 I'm currently using Etude House's Wonder Pore Toner. Toners are great for people like me who suffer with oily skin. 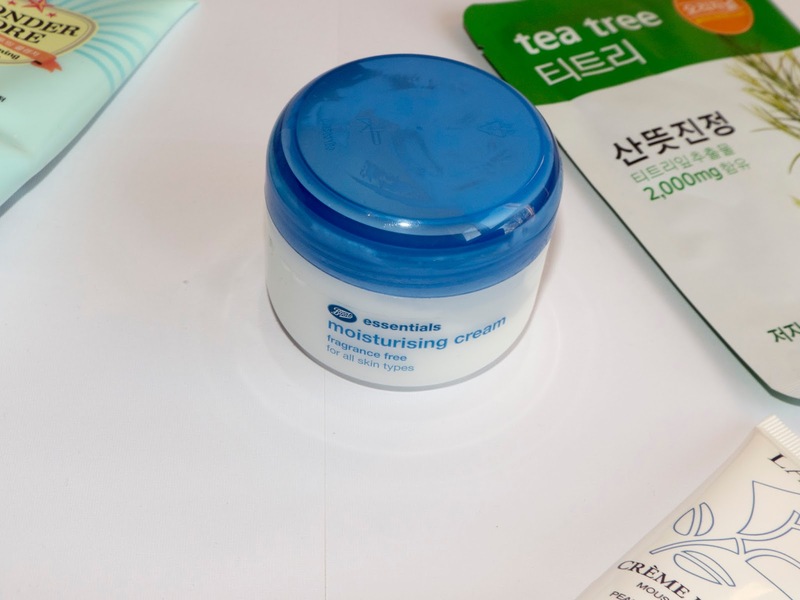 It's important to put the moisture back into your skin so next I reach for my Boots moisturising cream (yes I know I use a lot of Boots products but hey, they work). I apply a little to my finders them rub into my face, leaving my skin super soft. I only use a face mask once a week, I'm personally loving sheet masks at the moment. 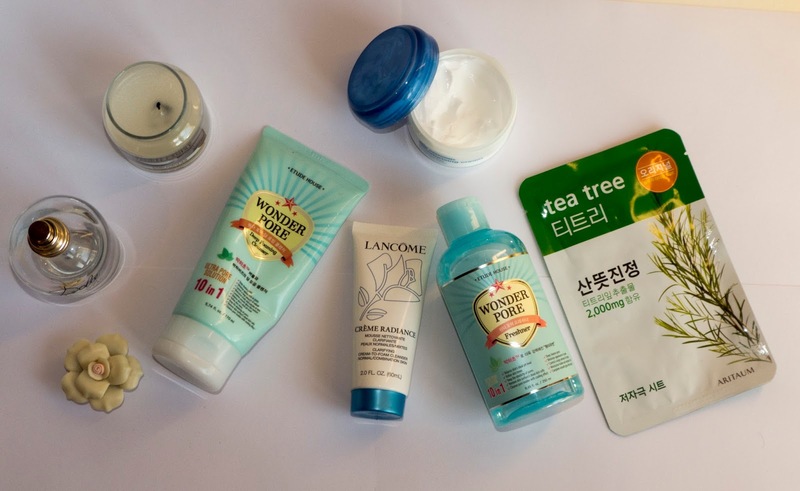 I brought a load from South Korea (check out my Korean Beauty haul) but I'm sad the UK hasn't quite fully embraced the sheet mask yet. 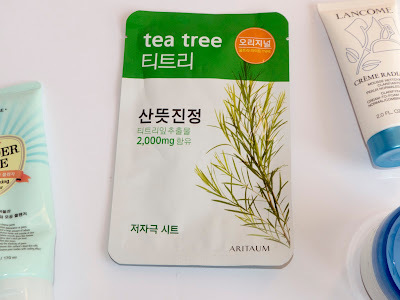 I place my face mask onto my dry clean skin and leave it for 15-20 minutes I love sheet masks as there is no washing product off your face you just peel off the mask and rub in any left over product. But of course use any mask you want for this step. And that is my current nighttime skincare routine, it's simple and doesn't take very long at all. I hope you enjoyed reading this post and it encouraged you to start a routine of your own if you don't have one already. 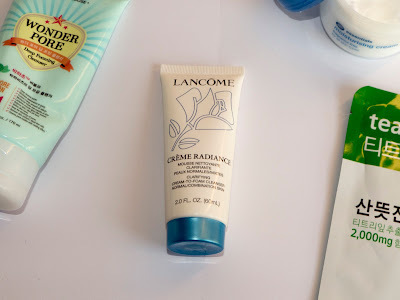 What is your nighttime skincare routine like? What products do you use/recommend? I definitely find that my skin is less oily when I exfoliate and tone but sometimes I have to force myself to do it because I'm lazy haha thank you my lovely friend I'm glad you enjoyed it!